Who Are The Ambassadors In Motion? What Are Our Campaigns And Messages? How Do I Request An Ambassador? Ambassadors employ four forms of outreach: event outreach, classroom outreach, on-street outreach, and municipal/governmental outreach/assistance. 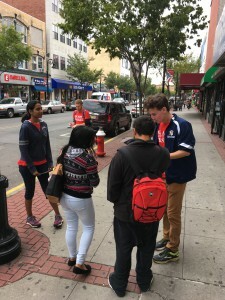 As part of this outreach, Ambassadors work to build relationships with New Jersey counties and local governments and mobilize to attend community events on an “on-call” basis. Ambassadors occasionally organize safety and educational events at select locations based upon local demand or unique opportunities. 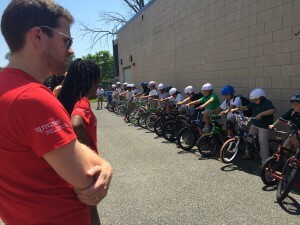 For example, Ambassadors will give bicycle and pedestrian safety presentations targeted to children, youth or adults at after-school locations (e.g., community or cultural centers, senior centers, and street fairs). 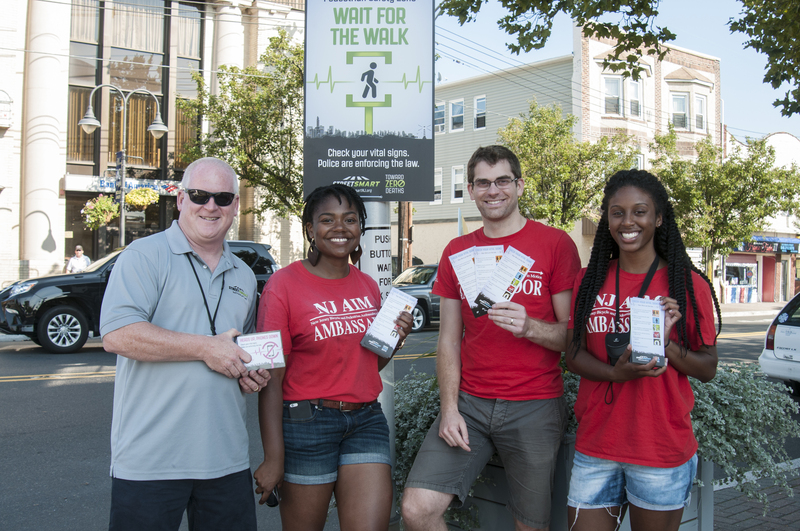 Ambassadors mobilize at high-pedestrian crash intersections and railroad crossings to distribute safety-related literature to bicyclists and pedestrians and to warn motorists via custom-made signage (e.g., Stop and Stay Stopped). Ambassadors also give presentations on select topics such as Complete Streets Policies to municipal leaders and practitioner communities at meetings, conferences or other venues. Campaign and messages are critical to the success of the program. 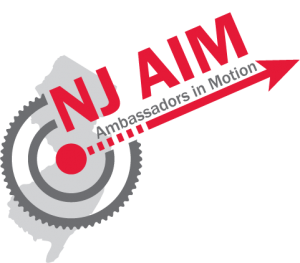 In this pilot year, ambassadors focus on the following campaigns and messages: Active Transportation; Bicycle Safety for Adults; Bike Safety for Kids; Share the Road; Bikes on NJ Transit Buses; Safe Routes to School; Using Your Bike More; Safe Railroad Crossing; and, Complete Streets. Active Transportation: This campaign focuses on encouraging the public to consider alternative modes of transportation. Bicycle Safety for Adults: This campaign focuses on street riding issues and dangers (riding in the bike lane, avoiding the door zone, communicating to motorists), as well as trail riding (passing other bicyclists). Other topics include helmet wear, respect for all road users, locking safely, and bicycling with family. Bike Safety for Kids: This campaign focuses on where to ride (sidewalk vs. street), helmet wear, bike fit, locking your bike, bike handling skills, communicating to pedestrians and motorists, and the fun and liberating aspects of bicycle riding. Bikes on NJ Transit Buses: This campaign focuses on how to commute by bicycle and bus. Safe Routes to School: This campaign focuses on educating children and their parents how to safely bike and walk to school. This will be a joint effort between BPRC and the SRTS Resource Center. Safe Railroad Crossing: This campaign focuses educating children and adults about how to properly cross railroad tracks at legal crossings. Complete Streets: This campaign focuses on encouraging communities to adopt complete streets polices. Biking to Work or School (what to wear, how to carry, riding at night and in all weather, locking safely, choosing a route, helmet wear). To request an Ambassador please download and fill out the form and return to the address listed on the top of the form.